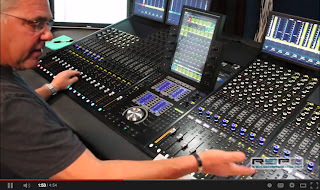 Longtime Hollywood Mixer Gary Lux sat with RSPE Audio to show how using VCA groups on the Avid S6 Control Surface helps him stay organized and improve his workflow and efficiency. Gary recently celebrated his 20th anniversary mixing and recording the music for the the Screen Actor’s Guild (SAG) Awards. Although he mixed it on his Avid ICON D-Control, he wanted to see what he would do differently (or the same) on the Avid S6. Click the image to watch the video. Make sure to watch the end for an outtake! To learn more about S6 visit our exclusive Avid S6 microsite!